The line between what is and what is not patent eligible is becoming clearer—provided you know how to interpret and apply the evolving jurisprudence governing patent-eligibility requirements. Mintz Levin does. Mike Van Loy, an Intellectual Property Member at Mintz Levin, discusses intellectual property strategies, the latest developments in patent law, and specific IP strategies for startups. This interview discusses the key elements of various forms of NDAs. Investors typically will not sign NDA. Is this an issue? Find out! A deeper dive into the importance and value of patents, and the process to get one, from filing through issuance. 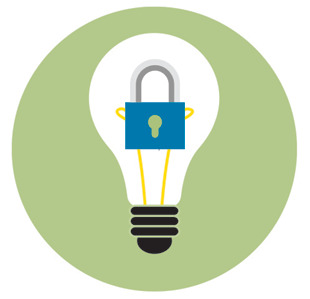 What is Intellectual Property, and Why is it Important? IP 101: This deck gives entrepreneurs the “need-to-know” information about trademarks, copyrights, patents and trade secrets. Due diligence helps potential investors know they are making a winning bet on your start-up. Hence, investors conduct a detailed look “under the hood” of the company and the company’s IP is at center stage. Patents can make a startup’s product or service more profitable and Venture Capitalists want to see patents. Do You Really Own Your Employee's Knowledge? So it may seem like a ridiculous question. Who can own a thought? But it is a bit more difficult to answer this question from a legal perspective than you may think. Trademarks and Surnames: Why Can’t I Use My Own Name? The lesson here is that surnames, unless very rare, are not always the best choice for a new trademark. Businesses are better off pushing vanity aside and creating unique trademarks that can more easily and quickly become strong and enforceable assets. Non-compete agreements are a common part of the business world these days. But just because you sign a non-compete agreement doesn’t mean your employer will enforce it (or try to enforce it) after you leave your current job. The explosion of social media and changes in traditional advertising and marketing methods have changed the way products and services are recognized. Promoting non-traditional trademarks such as a color, or other unique source indicators such as sounds, scents, flavor, and product shapes, may provide a fresh method to attract and entice a wider audience.